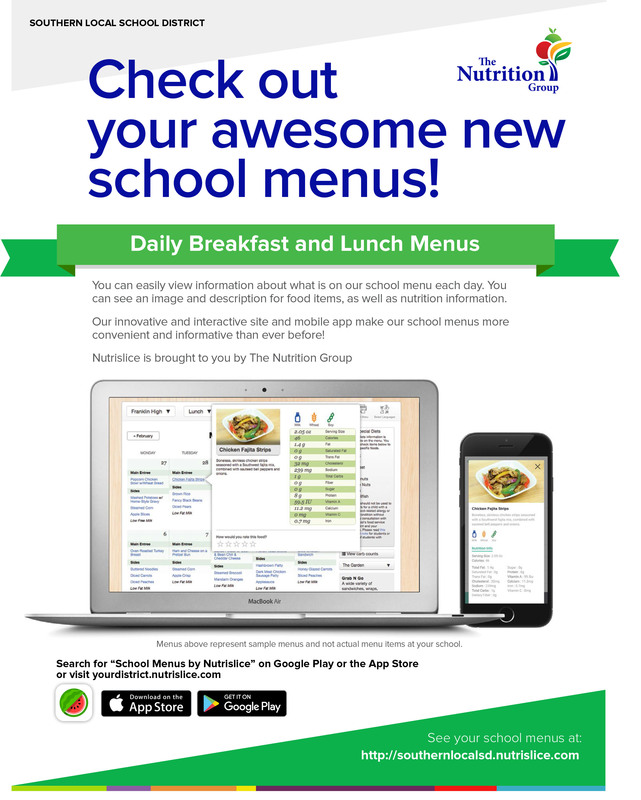 You can easily view information about what is on our school menu each day. You can see an image and description for food items, as well as nutrition information. Nutrislice is brought to you by The Nutrition Group. Menus above represent sample menus and not actual menu items at your school. See your school menus at: http://southernlocalsd.nutrislice.com.